Shoes are definitely hard to maintain and take care but fortunately, Nilkamal from @home has come up with the perfect shoe storing solution. Florine 2 Tier Shoe Cabinet in the walnut colour is the way to go! 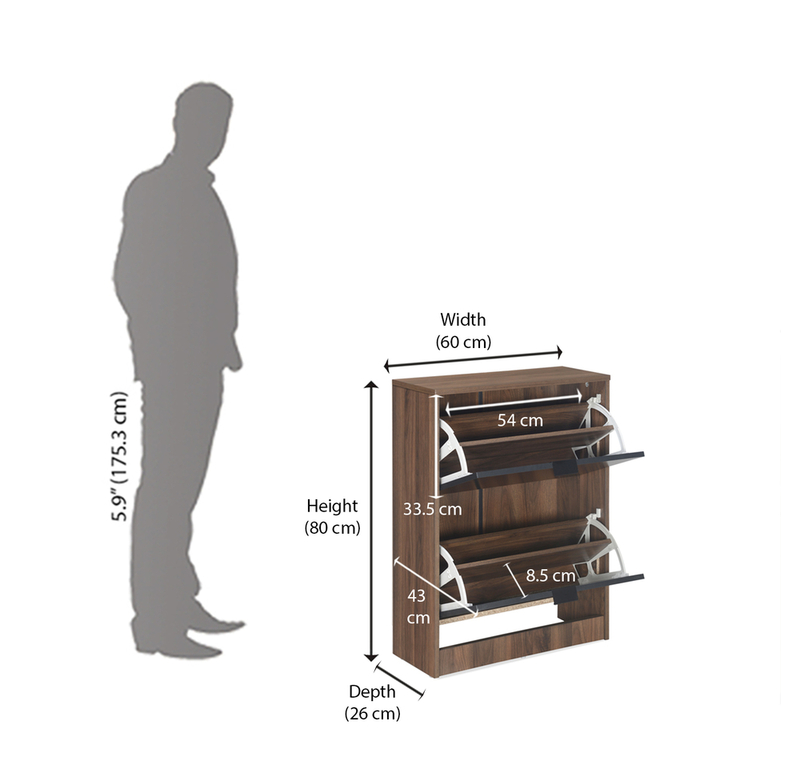 This shoe cabinet is available in a beautiful walnut colour. It functions as a great add on in your living room or bedroom or wherever you need to place it. The rich walnut colour has a beautiful matte finish that is aesthetically appealing. The cabinet is made of a strong and sturdy material that not only ensures durability but also a lighter weight. The shoe cabinet will definitely add a sense of style to any room that it is placed into. The handles on the front make it easy to open and the material is easy to clean and durable. With a light weight, the cabinet can be moved around from corner to corner, if you so please. Visit @Home furnishings today and make your purchase of the latest fashion in home decor and storage.